How much is the solar water heater 200 liters price?200 liters solar water heater price model directly determines the cost trend, 200 liters solar heater is a cost-effective hot water solution, suitable for family hotels, and workplaces. 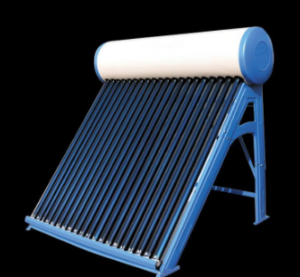 What to know more about solar water heater 200 liters price? 200L Solar Water Heater Competitive Advanced Technology Due to the round shape of the vacuum tube, compact size, efficient winter and partly cloudy performance, vacuum coated glass tubes with an absorbing coating, with sacrificial anodes, can generate no electricity Or any other fuel hot water, greater absorption area, high quality vacuum tubes, large savings in electricity, substantial savings in electricity and fuel costs, ISI electric back-up heaters (customer selectable), light weight, low height, bracket parts material The (black powder-coated low-carbon steel) tank is made of food grade enamel interior technology. High-quality polyurethane minimizes heat loss from the water in the tank. Why chose our 200 liters solar water heater? The 200 litre solar heater is a vacuum tube collector-type enamelled water tank device, which is ideal for home and villa home use to cater for all hot water needs. It can easily install solar water heater in a limited space and its internal piping can save additional costs. It uses low-pressure equalizer technology and has high corrosion resistance.